One of my favourite 'forever' prints is leopard. 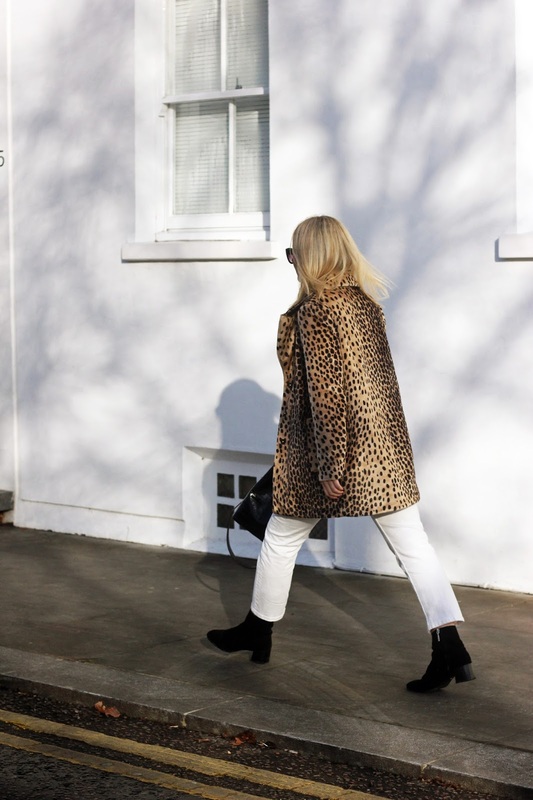 A leopard coat will always be a classic and I rely on mine year upon year. I received this one from some friends last year for my 21st (it's last year's Mango - here's this year's) and I must say there aren't any quite as nice on the highstreet this season! 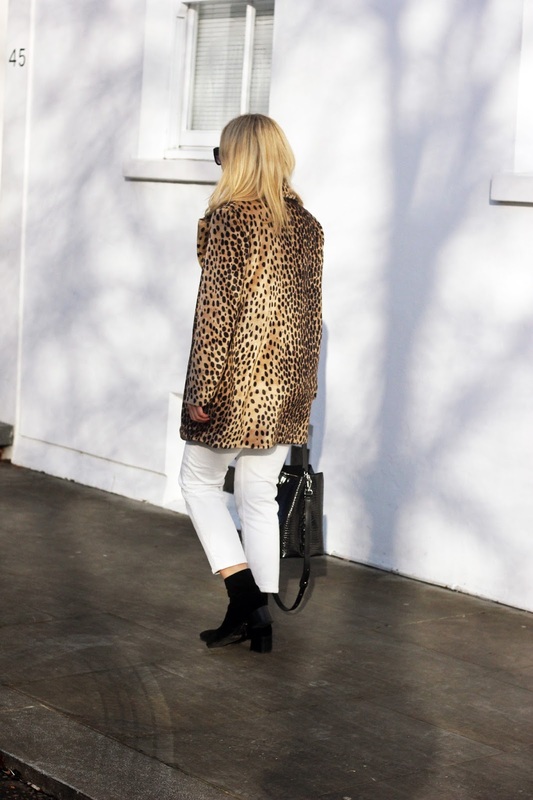 Pair your leopard coat with a band tee to automatically modernise the look - mine is from Brandy Melville - they have an incredible edit of band tees at the moment that are super affordable with that worn-in, vintage look and feel. Growing up with a Dad who plays the guitar and listening to endless renditions of Wish You Were Here vs Another Brick in the Wall, I went for Pink Floyd, of course. 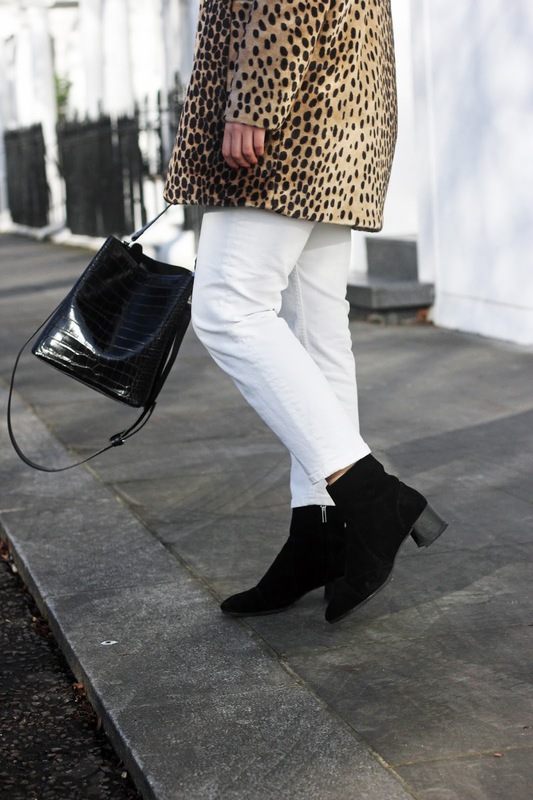 I've added a pair of white straight leg jeans from Acne to girly-up the look and a pair of suede heeled boots from Whistles. 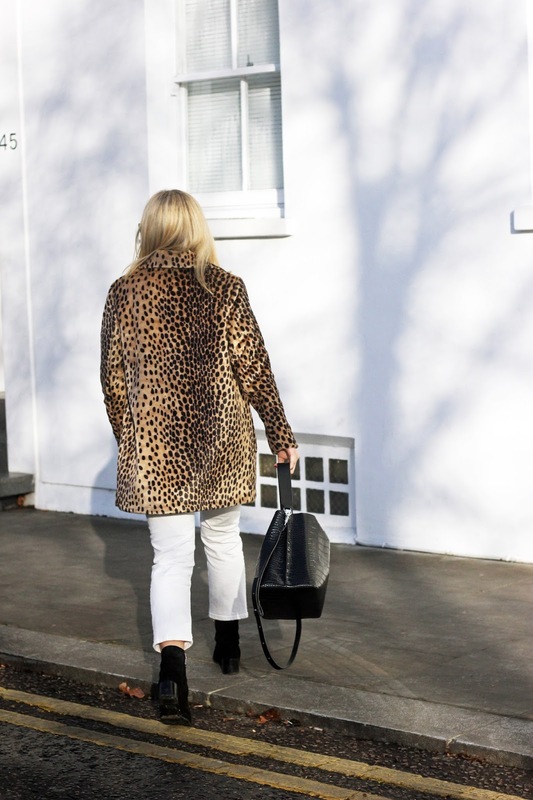 You've probably seen this bag on my blog already but I've received endless comments on it, nobody can believe it's just Zara as it looks so expensive!